← [NEWS ARTICLE] What Charm That Eric-Yoon KyunSang Will Show In “3 Meals A Day”? 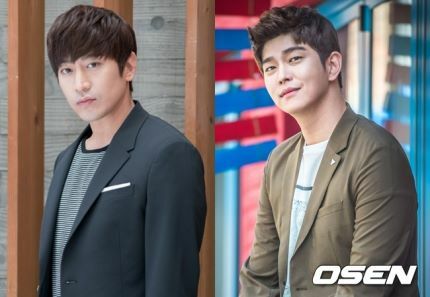 never once been in a tv show alone without Shinhwa members, the same goes to Yoon Kyun Sang who adavanced to a “newbie of entertainment show”, the expectations of the newly formed members are already high. PD Na Young Seok revealed his thoughts. After the first filming, Na PD told OSEN “It’s the first filming, and because there are people who are new to tv show, I didnt have high expectations, but it was done more successfully than I think.” He added, “Lee Seo Jin is the same… and Eric is good at cooking than I think. Yoon Kyun Sang made everyone shocked with his physical strength. The whole set atmosphere was so fun.” he expressed his satisfaction for the new members. The three people are scheduled to visit Deukryangdo for few more times in the future. There’s a plan to unravel many curiousities for this season of ‘3 Meals A Day – Fishing Village 3’ through a press conference before the first broadcast. The first broadcast will take place on October 14th. [사진] E&J엔터테인먼트 제공, OSEN DB. This entry was posted in My Yoon Kyun Sang 윤균상 and tagged 3MAD, eric, lee seo jin, three meals a day, Yoon Gyun Sang, yoon kyun sang, Yun Kyun Sang. Bookmark the permalink.